Today is a huge day for Meghan Markle. 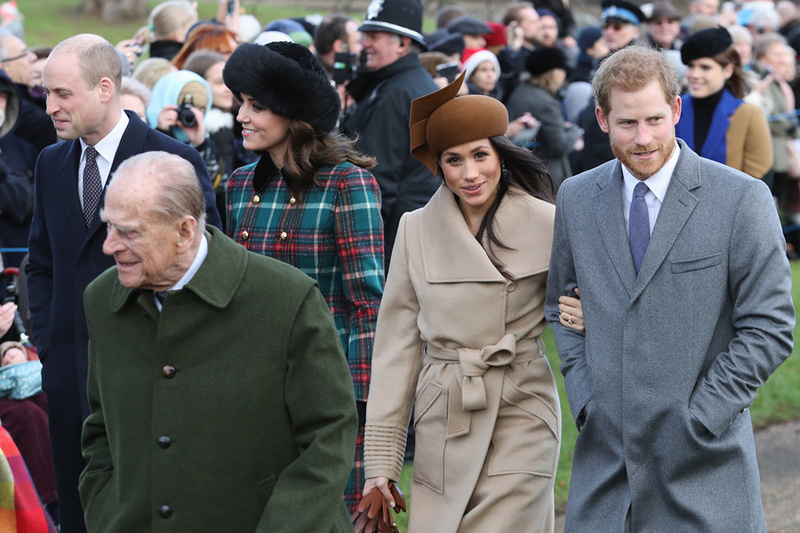 Spending Christmas Day with your future in-laws for the first time is a big deal for anyone - let alone if your new family happen to be royal. Prince Harry's bride-to-be has a LOT to remember today - including how she should address people and who she should curtsey . But one thing that has probably been on her mind for a while is her outfit choice for the traditional Christmas morning church service at Sandringham. Meghan wore the hat with a Sentaler coat and Stuart Weitzman over the knee boots. She was carrying a brown leather Chloe handbag. She wore the same earrings she donned for the Queen's Christmas lunch, from Birks. Meghan arrived with fiance Harry and the Duke and Duchess of Cambridge . They were greeted by hundreds of well-wishers who had been queuing for hours to see the royal family arrive for the annual church service. Most people loved her (extremely expensive) outfit choice, but it was her chestnut hat that had Twitter users in hysterics. 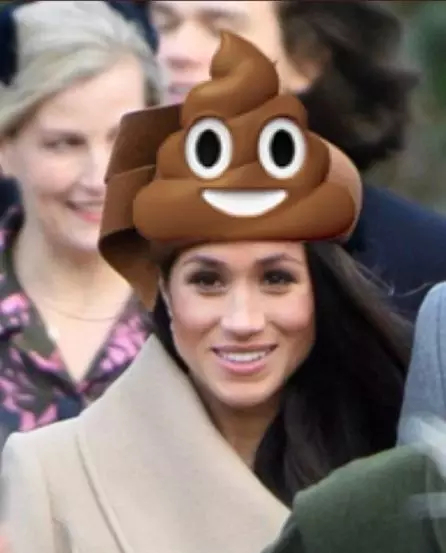 Comedian David Baddiel tweeted that one of his children recognised Meghan’s hat from somewhere. However, other people are comparing her striking hat to more pleasant things. Journalist Marie Le Conte compared Meghan’s hat to the main character of German children’s book The Story of the Little Mole Who Went in Search of Whodunit. While others compared her hat to an acorn .